The grocery game challenge #4 Sept 23-29, 2013: Does size really matter? Of course size matters so you should keep your eyes peeled for all marketing and pricing strategies although many are not tricks. It’s up to you as the consumer to find out what the difference is even if it is staring us right in the face. If you are smart about grocery shopping you will always keep size and weight in the back of your mind especially if you aim to stick to your grocery budget. Don’t beat yourself up though if you miss something we all do it and we pay more but what can you do but be aware the next time around. It’s not the first time I noticed pricing strategies at grocery stores but at Metro the other evening while we were doing a quick run around for coupons and picking up our lotto max ticket we noticed tonnes of Cashmere 8 pack toilet paper reg price $8.33 on an actual sign posted on these skids. My instant reaction was …”yeah right”. It was later in the day but I thought to myself that there is no way I’d pay that kind of money for toilet paper unless I was forced to. I recall having a $1.00 off Cashmere toilet paper and getting those 8 packs on sale minus the coupon which I thought was a decent price even though we still paid $0.28 per double roll of toilet paper after coupon. If you do the math $2.88 *1.13 =$3.25/8 rolls= $0.40 per roll which I still think is pricey but that’s the frugal man in me talking. Even with the $1.00 coupon we had last year at the same sale price we were paying $0.28 which I thought was reasonable for a double roll. I noticed people loading their shopping cart up with the toilet paper on sale because they also had the regular price listed. You’d be a fool not to load up at that price coupon or no coupon. You may find cheaper toilet paper but we haven’t found coupons for toilet paper this year, at least not like we used to in the past. So if you were to buy 4 packs of the Cashmere on sale you would pay $13.00 for 32 double rolls of toilet paper which makes me just shake my head especially since we will just flush it down the toilet. What I would have done in this case since I didn’t have coupons is check for any larger packs of double roll Cashmere to see if the price comes in cheaper than the 8 pack even though it’s on sale. By putting up the high price people think they are getting a smashing deal but to be honest with toilet paper these days you probably are. The prices of toilet paper make me just shake my head most days but I’m glad we are stocked for a few years at least. Just this past week I was happy to see Dempster’s bread go on sale for $1.75 but it wasn’t until my friend brought it to my attention that the packaging was smaller otherwise I would never have thought anything even though it is clearly labelled. I missed that so that just goes to show you how easy as consumer we might look at the price and dismiss the size of the product or the weight. It’s important to be mindful. Dempsters is even being smart about their packaging and not hiding anything from us because they straight up tell us that the loaf of bread is smaller, hence the lowered price. The problem is if you miss this marketing then you might not see that you might not be getting a bargain comed to if you bought the bigger loaf. You may find the price is comable in nature where one package just gives you more product but the price reflects that increase. I noticed many people had quite a few loaves of bread in their carts so the marketing was working. It’s fun to watch and see what’s on sale and to see how many people load up their carts and then I get out the calculator to start doing some math. It’s too bad we don’t see more shoppers using their math skills to find out if they are getting the best price for the product they are buying. We are often drawn in by price alone followed by label or brand of the product. One other time that size really does matter is during dollar days at any of the major grocery store chains. Don’t be afraid to do the math. Just because something is priced at a dollar and packaged doesn’t make it the best bargain for you. Some consumers see the $1.00 flyer debut and go nutty but most times you are actually spending more than if you would have just bought the bigger package of a product at regular price or on sale. You must notice that many of the products for these sales are smaller versions or product sizes you don’t normally find at the store. We avoid dollar days and just price match if we find a bargain because it’s a zoo in the grocery store but also because we don’t really see the value in most products. You might find the products are smaller and priced accordingly, well $1.00. One example was a package of Schneider’s sausages for $1.88 but if you look close and come the packages in the freezer as opposed the bunker where they stockpile the sale item you will notice the other package which is identical actually has more sausages inside. So they give you less product for a cheaper price but are you really scoring a deal then? You have to do the math. Do you think that size matters? Do you do the math? I will post the previous week’s grocery game here for ease of finding them each week if you need to go back and post your shops for the month. The grocery game Challenge Sept 16-22, 2013 #3: Would you pay for personal grocery shopping services? Free Money Saving Downloads is lists that were created to get us on track to work towards reaching our budgeting goals. Get organized with a freezer inventory, meal plan, shopping list, price comison list and much more all for FREE. 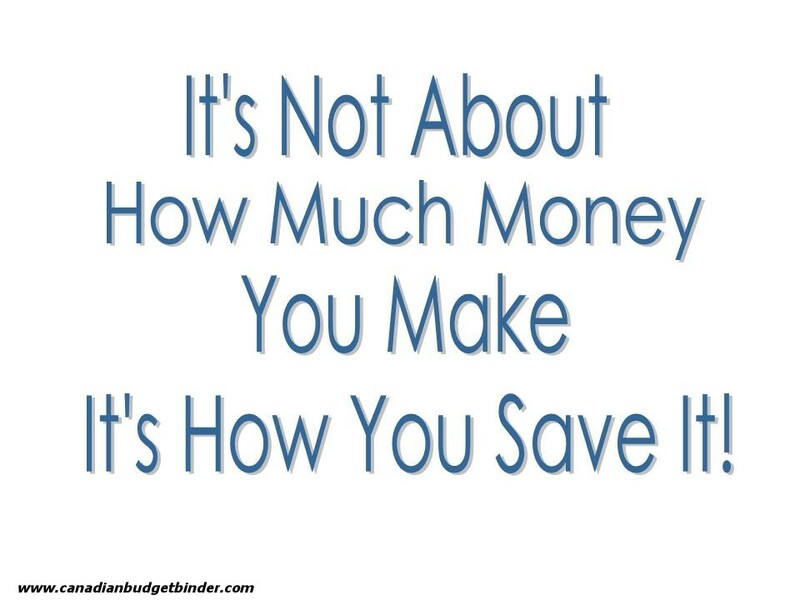 I want to see you save money in your budget. Weekly Overview: Well we wiped out the stockpile budget this week with our purchases as we needed to use it up with the amount of cheese that we purchased last week. We have one week left for the month of September which will likely mean we will get milk and maybe some vegetables with the $9.83 left to spend in our grocery budget. Grocery Game Challenge RULES Read the rules first and if you have any questions email me or comment on this post with your question and someone will answer you as soon as possible. What is an FPC? An fpc is a free product coupon which means you can get a free product as described on the coupon. Over time you will gradually learn where you should and shouldn’t go in the grocery store or at least how to say no, I’m on a budget I need to buy this or that. You may also substitute items in order to stick to your budget to make it work. 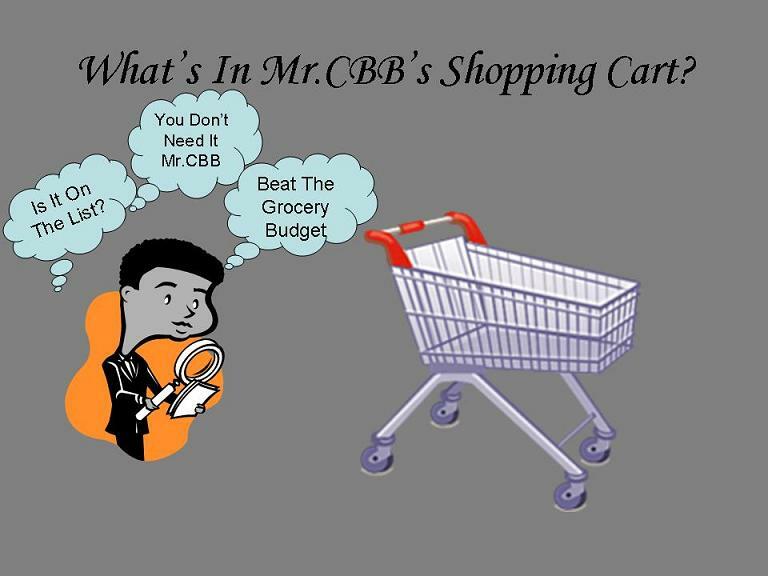 Nobody is perfect, heck we struggle with this t of our budget like many people do and this is why the grocery game challenge was created. Totally agree that size matters!! I don’t know how many times when I first got married that when I would go shopping with my wife she would see the “SALE”, but she wouldn’t realize the difference in size and since I saw my dad always compare prices I would just look and go, yeah but the bigger/smaller size is a better price. Sometimes I have found bigger is better and sometimes I have found smaller is better it always pays to comparison shop with sizes. And when it comes to toilet paper and paper towels, they are not all created equal you have to test them out because one double roll is not the exact same to another brands double roll either or have the same amount of sheets, etc. SO many people fail to do the math in accordance to the size which will make or break a purchase for us depending on the product. We might not want 1L of hot sauce but would pay a bit more to get a smaller bottle. I agree with the TP and PT…. they are all created different. We have our favourites. I shop for 2 adults and a 2 ½ year old boy. Our budget is $90/week or $450 for this month and includes laundry, health/beauty, etc. •Weekly overview: Well, as long as I refrain from shopping for 2 more days then I am finally back on track for my grocery budget! I have $29.96 left! I really stocked up on canned veggies for the winter today…what a great deal! I was super impressed with my Walmart shop too! I got a few other good deals at RCSS but didn’t include them in my post as they aren’t coming from my grocery budget. I got Halloween candy 2 x 125 pack mini chocolate bars $15.97 each – 2 x $1.00 coupons – no tax day ($4.15). I also got Energizer Max AAA 8 pack on sale for $7.47 – $1.00 coupon – $2.00 Checkout 51 plus inside the package there was a mail in rebate for a $5.00 gas card! I loved the $5.00 of my purchase coupon for RCSS! I got it last week when I signed up in store for a PC Mastercard! i always look at the weight on products, do some math to see how much it is for a single gram or item, then compare their prices. so of course size does matter. a lot of the times unless you have a very high value coupon, it is still cheaper to buy the bigger size product on sale than the smaller items really. these companies ain’t fool lol. 2. i went out to stores way too many times than i usually do. when you are out there, you, or i can’t resist the temptation of spending. i tell myself i only spend on food and i don’t waste any. however, spending is spending. if i didn’t go out that many times, i would have saved some money instead of spending way over budget. big lesson learned this time!! i have never brought anything over to the next month before because i usually am under budget. this time i am going to have to work so hard on the coming months to recover the “loss” i made. going to stop myself from shopping too many times. OK here’s the rule, only going to the stores once a week. how is that? lol ewe~ gonna be hard. Thanks WING… I’m glad you love it like I do. It took a long while but it was worth it!! mr CBB, i imagine you overlooked. i blew my budget by $134 in Sept!! you need to scold me super big time!! please, i need some yelling at!! How did I miss that Wing? IN THE CORNER BAD GIRL~!~~ haha… You know we’ve killed our budget last month and probably this month since I just spent almost $300 at the NIKE store and over $1000 on a oven fan but sometimes we need to spend a bit more in the budget. The important part is to make sure the money is saved and there. If it’s not then that’s when we suffer. You’ll do better, have faith Wing.. never give up. Our weekly budget is $100 making this month $400. Making this month 4 weeks and my Oct 5 weeks. $3.99 morning buns treat at work for me and my coworkers cause I was starving! $3.99×2-$2Cx2 swagger old spice body wash such a good deal I went back and bought more today!! Happy dance to be under budget!!!! The stewing beef was on sale at $4.49 lb. regular $5.99. Most of the good roasts lately have been running around $4.99 lb. But that pack of meat was split into 2 packs each of which will give 2 meals plus for the four of us, so that whole pack will likely run 5 meals for 4 adults. Looking at it that way it’s not quite so bad. Not sure how I’ll post this weeks shops, if I go for the 5 weeks in September I’ll be way over. If I call it as the first week of October, that will mean 5 weeks there which would be tight but maybe do-able…. I’ll think about it…. When you post your shop just track it on your end if you post in my 5th week but it’s your first week of Oct you track it that way… you don’t have to follow my dates just make sure you post the data and dates so we know how to follow you. If that was a good deal for the roast I’d say why not. We don’t normally buy roasts although we did buy one a long time ago and we needed using it up so we did this past week. Here are my shops for this week, both are at Foodland. It was a good week for me…. I wouldn’t use a shopping service as long as one of us is well enough to manage grocery shopping. I prefer to pick my own products and be able to respond to Manager’s specials that were not advertised not to mention pink sticker sales! I agree with you because we would miss all those sales and unadvertised deals because he/she likely won’t care and just get what’s on the list. Mr CBB… no comment here. Did I get a ballot? I have just updated it.Thanks for letting me know. I think in the transfer some how this was missed so thanks for pointing it out. It’s just another great reason to follow your posts so you make sure I read them and give you a ballot number. So, you went over for the month, oops lol…. that’s about what I would say. You had a brilliant month Mary and going over a bit is nothing and you are brilliant enough to recover that easily. Keep up the good work.. oh I want to try that China Lily one day.. you said you like it better than Kikoman. You get ballot 19. I am really enjoying budgetbinder. I have learned awhile ago size really does matter especially with bacon as it is put on as a special but the package will be 374grams instead of 454grams which is same as pound and margarine is another one they make smaller when on sale. Thank you for making me even more alert. As for the smaller packages and keeping the price the same I’ve seen that for years, first time I noticed it was when my oldest was a baby and the Infant Tylenol had a “new improved formula” …. Bottle stayed the same but the dosage was upped so you know it was watered down slightly…. I always do the math to see if I can get a better deal if i buy in bulk so it’s worth it. I’ve found times where it is smarter to purchase the smaller item for $1.00 on dollar days than it is to buy the larger so it’s all about taking time to find about pricing. This past weekend I spotted natrel milk free at Sobeys when you bought 3 Quaker products. The instant oatmeal was on sale so it was a no-brainer, add to that the $4.00 I had in coupons and for $4 + tax I got 2 boxes oatmeal, a box of granola bars plus a bag of milk. Going back with more coupons today.! wow that’s a great deal Mary and another great reason why we should be watching out for coupons. Every dollar saved helps.